In addition to the list of what to know about motorcyclists, the MSF plans to conduct a “100 Motorcyclists Naturalistic Study” to mirror a similar study by the National Highway Traffic Safety Administration which found that distracted driving is a factor in more than 22 percent of all traffic accidents. The MSF study will “combine unobtrusive, continuous data collection with post-incident interviews” for 6 to 18 months to determine more clearly the most common causes of motorcycle accidents. 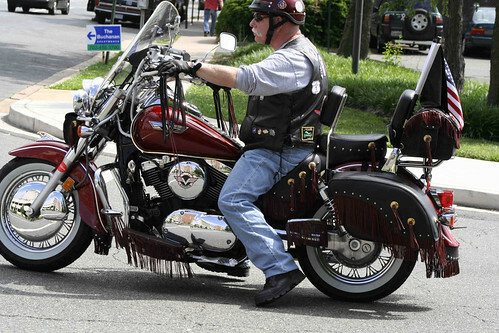 Motorcyclists are notoriously reluctant to accept motorcycle safety regulations, like state-imposed helmet laws. But, as evidenced by its stance on distracted driving, the Motorcycle Safety Foundation has a strong record when it comes to advocating for smart decisions on the road. The group is equally smart when it comes to state motorcycle laws. “Wearing a helmet, no matter what the law says, is a reflection of your attitude toward writing,” MSF writes on its website. “And that attitude is plain to see by other riders and non-riders alike. To ride a motorcycle means avoiding foolish risks.” Translation: just wear one. And while you’re at it, don’t drive distracted. Share your thoughts in the comments section, or on our Facebook page.